Apologies for calling this flower Molinia longifolia on Monday! This entry was posted in Garden, Plants, Wordless Wednesday and tagged Garden, Plants. Bookmark the permalink. Oh this was the star of your Monday vase Cathy and how pretty it is. I believe that the foliage is scented. Did your grow it from seed? Hate to be pedantic, but still not quite right. Morinia with two i’s. But whatever it’s called it’s very pretty. And it serves me right for being such a smartarse. LOL! Well, I don’t mind anyway. I have been calling my Weigela a Weigelia for years and cannot get out of the habit! Me too, that’s another one. So do I, Joanna! Some of the German names are quite cute! Aren’t fellow bloggers great – I love reading all the banter! Cathy the photo is beautiful and the plant too. 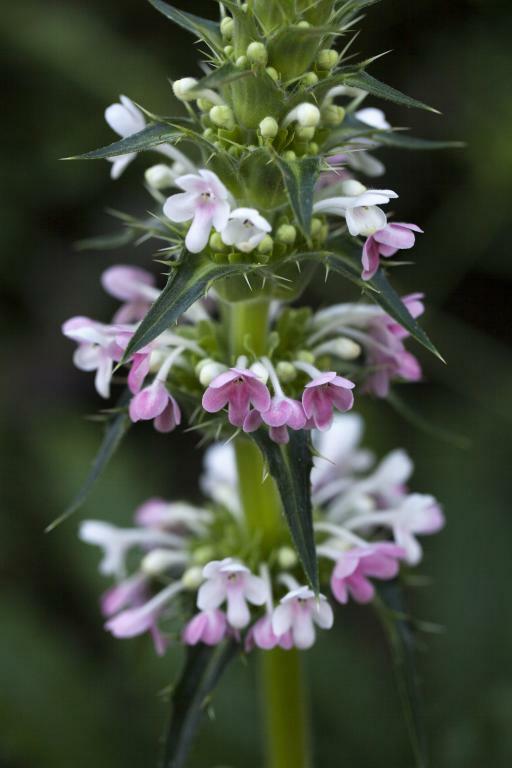 The Morina longifolia? Is it written like this? Because I did not even know the vase on Monday and it’s very pretty. Have a nice week. Greetings from Margarita. What ever her name she is both beautiful and spiky. Not one to mess with! As bad as a thistle! So so beautiful in your photo. It’s a perfect choice for a Wordless Wednesday–a beautiful bloomer and your photo displays it in elegant grace. Beautiful, but also looks like a classic “look but don’t touch” kind of flower. So nice and until now unknown to me.